Our dugout canoe exhibit began in 2015. A custom mural painted by local artist Malena Handeen graces the wall behind the Chippewa River dugout canoe which is enclosed in a special exhibit case. Please visit www.chippewahistory.org to discover information about the Chippewa River dugout canoe pictured here, and the Minnesota River dugout canoe which is located in the Gippe Cabin at Historic Chippewa City in Montevideo. Our new high tech interpretation of the dugout canoes is now available on a touch screen computer. 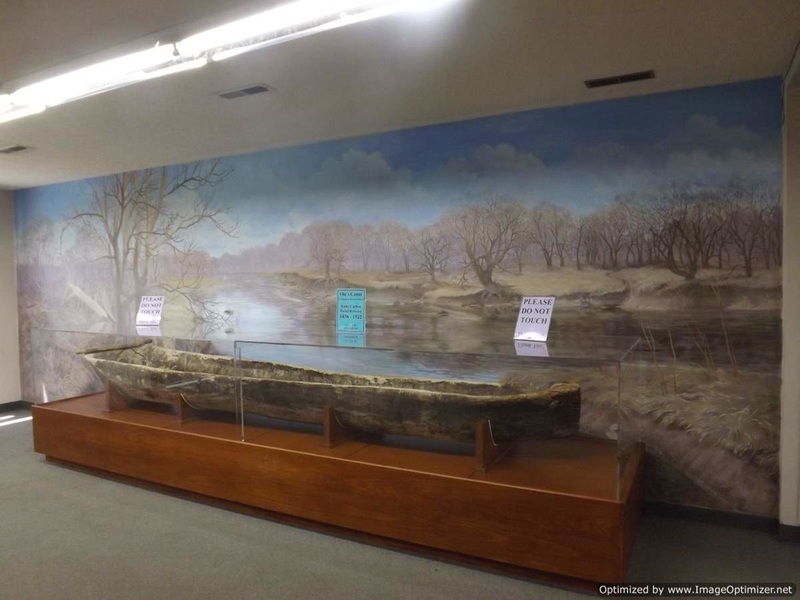 The Chippewa County Historical Society is the ONLY Historical Society in Minnesota with TWO dugout canoes! Work is now completed on Phase Three of the preservation of the Swensson Farm Museum Barn! This phase included siding and batten strip repair and replacement, repair of the windows including the exact duplication of the upper south windows for the north side, cupola repair, and painting the entire structure. The siding which was removed from the south and east sides was reused on the north side, to keep as much original material as possible. The 'new' siding is actually over 100 years old and was milled specifically for this project. It looks amazing! Please enjoy the pictures of this phase of the project.